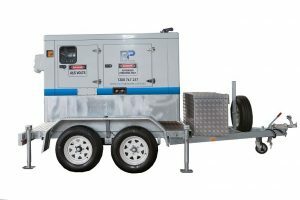 Trailer Mounted Generators are becoming increasingly popular across Australia! 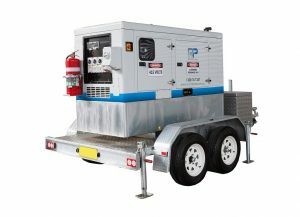 Trailer Mounted Generators are becoming increasingly popular across Australia. A trailer mounted generator gives you flexibility and freedom. When moving a generator, having a vehicle that can fit the unit and hold its weight is a primary concern. With a Trailer Mounted Generator, you can move your generator to any part of the country almost effortlessly. The benefits are many. You can use the generator in multiple sites, it is easy to store away when not in use and relocating it does not require you to have forklifts. Most of the diesel generators for hire in our range can be mounted on a trailer. Additionally, we can tailor one to suit your project needs – let us help you. In all, our Trailer Mounted Generators for hire have silenced canopies for quiet operation and multiple outlet configuration. Additionally, they have large, secure fuel tanks for reliability and earth leakage protection for your safety. Browse the options below to find your perfect fit.